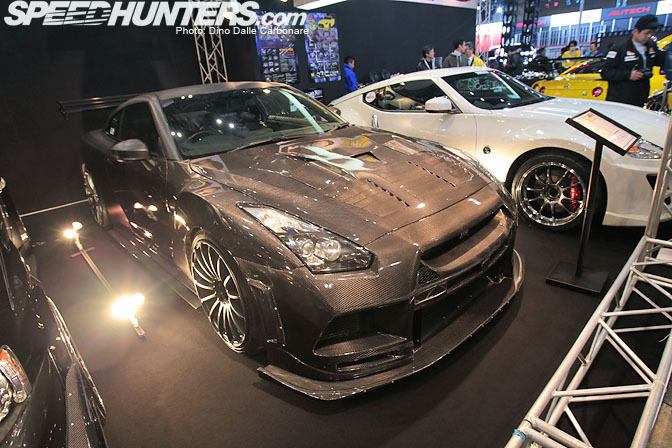 The Tokyo Auto Salon is all about the Nissan GT-R... well.... even if it isn't all about the GT-R, they still maintain a large presence. 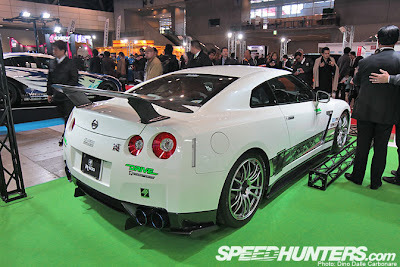 From the Nissan Skyline GT-R, to the current Nissan GT-R, there were many examples at this years show. 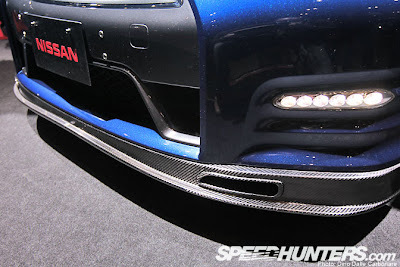 Check out this coverage from Dino Dalle Carbonare from SpeedHunters. 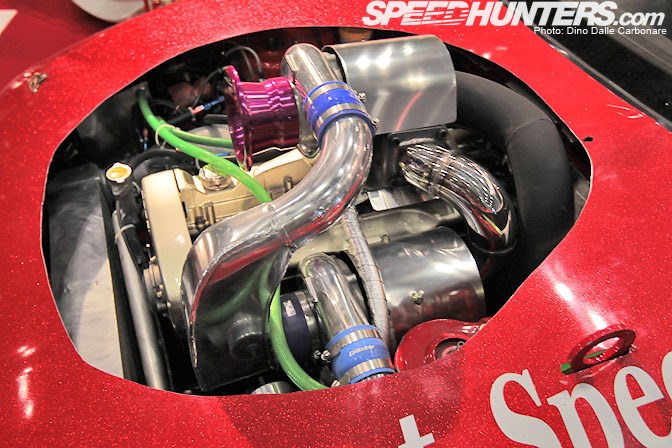 This R32 sports a pretty radical turbo setup. A compound turbo. This is something that you might see on a diesel truck, or a pulling tractor, but not much in the Nissan Skyline GT-R world.From what I can tell in the pictures, and what I am reading about compound turbocharging, it looks like this setup might be wrong. Normally the smaller turbo gets the exhaust flow first, the outlet from the turbine side feeds the larger turbo's turbo inlet flange.The compressor outlet of the larger turbo feeds the inlet of the smaller turbo. I wonder if it will ever run/see the light of day. Lots of these kinds of things are nothing more than show pieces. Head over to their full gallery for all the GT-R, and other 2012 TAS coverage.